I’m just going to go right ahead and start off by saying that I hate instruction books. Everything about them just makes me angry, from the giant blocks of text that make no sense contextually (for rules on X, skip to page Y) to the instruction books that could easily be mistaken for a novel. Now don’t get me wrong, they aren’t all horrible and even every once in awhile you get a game that is great and has really straightforward instructions. Good examples of that that I’ve seen recently would be Ticket to Ride, and The Settlers of Catan. I just purchased both of these games and you can easily read both of the instruction books in 15-20 minutes. I love to read as much as the next gamer, I read comics and fiction regularly when leisure time allows so it’s not that I’m anti-reading or something else similarly crazy. Also it’s not that I’m lazy, RPG rulebooks don’t fall into this category because those games are a huge investment on multiple fronts. Board games though…honestly if your game says it takes 1-2 hours to play and it takes me that same amount of time just to read the instructions then we’ve got a problem. Not ALL games are like this but there are a large amount out there that are just obtusely worded and horribly laid out. Fantasy Flight is probably one of the worst culprits for this. While attending the Winter Fantasy convention this year some friends of mine decided to play their Warhammer Invasion card game. In the amount of time it took them to read the rules and set the game up I managed to play 3 different games start to finish with my fiance. I don’t care how awesome a game is, and honestly after they figured the game out they said it was really pretty easy, but at this point in my life I feel that my time is precious and I can’t afford to spend that much time just to figure out a game. Something that I have seen done lately is where the game’s creator makes a video on youtube that explains the setup, rules, and play examples of their game. Sometimes they even have a video that shows a group of the designers playing the game and teaching you to play it at the same time. This works wonderfully and takes a lot of the headache out of the learning process. The Resistance by Indie Boards & Cards, and Food Fight by Cryptozoic are both great examples of this done extremely well. Why in the world is this not a thing for every game made at this point!? 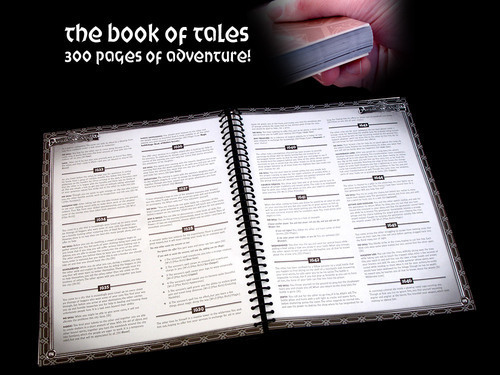 All they would have to do is make a small book with an overview of the rules for reference. Then in the box they could just include a link / QR code to a video that will explain the game to them. What better way to learn a game then to learn it from the person that made it? Designers spend a ton of time making these games, so why not spend another 30 minutes to explain it to the people that bought it? The company could even post it for free on youtube, or on the product description page for the game. That could easily be a way to draw people into purchasing your game or at least giving them a good gauge as to whether they think it’s something they’d be into or not. There’s also good room for more product placement for their other products if they so choose. Personally I know it would help me a lot when it comes to choosing a game I’m considering buying. Your Thoughts, Give Them To Me! So in closing all I have to say is this should be a thing for all game companies. Not only would it make learning your games easier, it would also be a good way to get people to buy a game that maybe wouldn’t have before. It’s a lot easier to watch someone play a game, or be taught the game and then pick up the finite bits you need by referencing a rule book afterward. Don’t make the front loading of learning the game so tedious and let people jump in faster! Also since you wouldn’t need a huge instruction booklet for your games you would be cutting production costs and saving the earth at the same time with not having to print and ship as much. Do you hate instruction books? Maybe you love them? Feel free to comment below and let me know what you think! Mage Knight handled this very well. 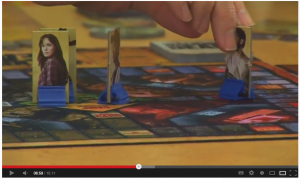 Although the rules themselves were long and loaded with forward and back references and it is an admittedly complex game, they published a series of very well done videos on their website. One series shows a walkthrough of a game. Another series breaks down the parts of a turn, the card types, and whatever. 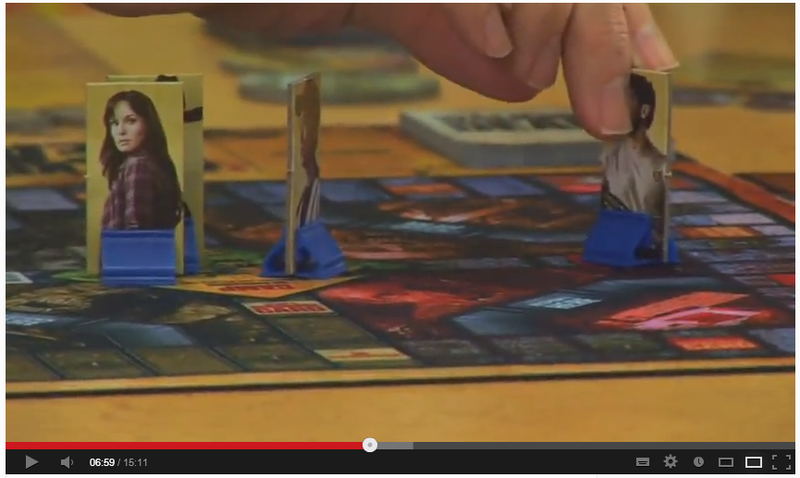 The walkthrough videos line up with the walkthrough/example of play in the rulebook. The game also comes with the cards needed for the walkthrough/example segregated out so you can pull them out and play along. I think the most important takeaway though is that this method allows people with different learning styles to find their happy medium. Presenting the same example of play in several different ways (audio/video, printed word, tactile) is a great way to teach a complex game. WotC did something similar with videos of Lords of Waterdeep and Conquest of Nerath. A gigantic flow chart on the back cover that clearly shows how a turn will progress (with page references) is a big help too. Arkham Horror and Zombicide both do this, and it saves a surprising amount of time and headache spent flipping pages. Also, easy-to-find downloadable pdf instructions. Five people may be new to the game, but only one booklet is included, so now it becomes a lecture. Not to mention the various cries during setup of “that doesn’t make sense, gimme the book.” If you’ve got a tablet or smartphone, you can have your own copy in front of you. Relying on boardgamegeek to scan and upload doesn’t count. YOU MUST check out Headless Hollow! (http://www.headlesshollow.com/) Its a site run by a professional graphic designer who board games a lot and his 2nd hobby is taking his professional expertise and using it to distill the rules into something readable and understandable that looks great and is in keeping with the game’s original style. Sorry, but that made me chuckle, that somehow reading comics is proof you love reading. Comics is mostly pictures btw. Not so much of the reading per page count. That little oddity aside, I totally agree. I actually don’t mind reading to instructions even when they are long, but they always read so poorly and don’t make sense in context so often. I think as others have said, an example of play or flow chart would be helpful. Also, many games have gotten more complicated.